During the federal government’s last public hearing in Alaska before oil leasing is allowed in the Arctic National Wildlife Refuge, some 50 protesters on Monday silently holding “Listen to the People” banners turned their back on a federal official trying to explain the regulatory process before drilling can occur. 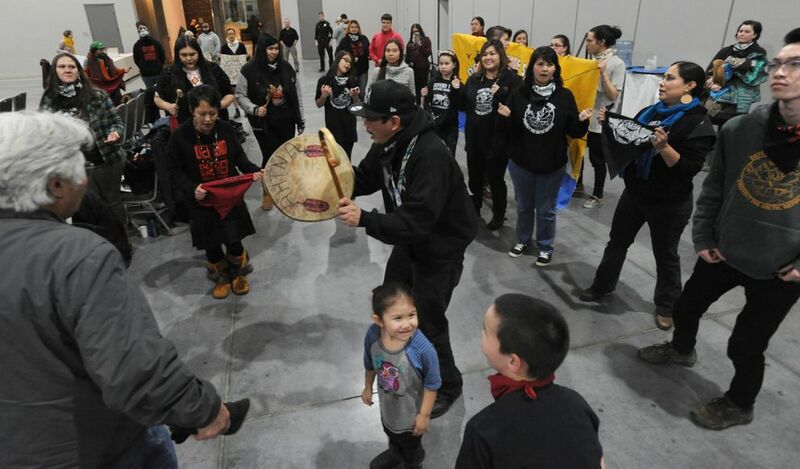 Outside that hearing room at the Dena’ina Center in Anchorage, an equally large audience of Alaska Natives from the North Slope region where drilling is set to occur held signs saying “It’s our backyard," and called for oil development in the 19-million-acre refuge. "1002!″ drilling supporters shouted, a legal reference to the 1.6-million-acre coastal plain where drilling would take place. “Shame on you!” Gamache shot back. The dueling protests capped a day of public testimony at the Anchorage hearing, a tamer version of a Fairbanks meeting held last week, when opponents of drilling took over and began speaking publicly at what was organized as an “open-house” event without public testimony, according to the Fairbanks Daily News-Miner. Public testimony was originally not scheduled for the Anchorage meeting, but BLM changed the format following the Fairbanks complaints, said Lesli Ellis-Wouters, a spokesperson with BLM. “It’s in response to what we heard in Fairbanks,” she said. One last public hearing on the federal government’s 700-page draft environmental report -- released in December and spelling out four different options for oil development in the refuge -- is set to take place on Wednesday in Washington, D.C.
Public comment is allowed until March 13, a month-long extension from previous plans. Speakers filtered in and out of the Anchorage meeting hall through the day -- the hearing lasted more than six hours -- offering their view on the bitter, decades-old argument. More than 100 people signed up to speak, officials said. More than 400 people signed up to attend. Some 700,000 people commented last year, before the draft report was released, most of them via form letter, according to the BLM. The Republican Congress and President Donald Trump in late 2017 passed legislation ordering the federal government’s first-ever lease sale in the refuge, decades after Congress in 1980 set it aside for possible future exploration. Joe Balash, an assistant Interior Secretary, told reporters on Monday the Bureau of Land Management is still on track to hold the lease sale late this year, auctioning tracts to oil companies. The issue seems anything but decided. On Monday, Reps. Jared Huffman, D-Calif., and Brian Fitzpatrick, R-Penn., introduced legislation in Congress to stop the lease sale, though it’s unlikely to pass a Republican-led Senate. Balash, addressing criticism that the lease sale has been fast-tracked, told reporters the BLM has dedicated employees to developing the environmental report, allowing it to advance more quickly than past reviews when employees were engaged in multiple projects. The federal government’s final report and it’s decision, selecting an alternative for development, is expected in the fall. The development scenarios each provide protections for the Porcupine caribou herd and other prized wildlife, after the agency heard from an array of interests before the draft report was created, Balash said. Asked if he was trying to rush the process before leadership in Washington can change, Balash said that’s an issue for “political prognosticators” to comment on. “I’ve been given a job and we’re doing it as well as we can," he said. Patkotak, while signing up to speak Monday, said drilling is an Alaska Native “right’s issue" that will benefit Alaskans with jobs and a better economy, not an argument about the climate that has been warming and cooling for ages. ASRC, the Native regional corporation, has joined two other companies to take the first exploration steps in the refuge in decades, by conducting a modern seismic survey that could support oil drilling. “The Inupiaq are the rightful owners of the resource,” and have the right to develop it, said Patkotak, a bowhead whaling captain from Utqiagvik, population 4,500. Patkotak and other drilling proponents wore “We stand with Kaktovik -- Open ANWR!” buttons, a reference to calls by the village, the only one in ANWR, favoring drilling in the refuge. Opponents of drilling said they stood with the Gwich’in in Arctic Village south of the refuge, where drilling is opposed in part out of concerns for the caribou they hunt and other wildlife they say are threatened by development. Earlier in the day, Anchorage resident Kengo Nagaoka turned his back on Balash as he spoke, indicating his opposition to drilling and an outcome he said was predetermined by the Trump Administration. 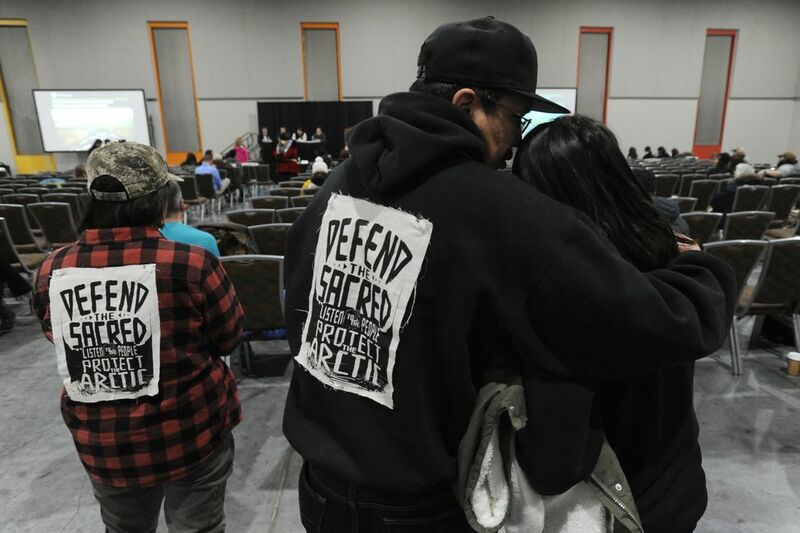 Sarah Siqiniq Maupin, a Fairbanks resident with indigenous chin and forehead tattoos, said warming temperatures linked to increased oil development and greenhouse gas emissions has made the ice softer, endangering hunters traveling on frozen rivers and ocean. 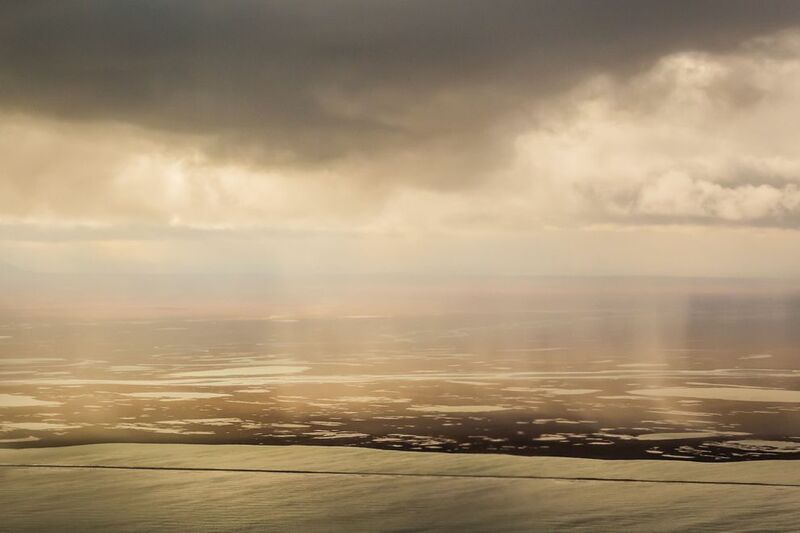 Ken Federico, who recently worked for a drilling company on the North Slope, and is chairman of the Southcentral Alaska Dipnetters Association, said the oil industry can drill in the refuge and protect the environment. “It can be done responsibly,” he said. Correction: This story has been updated to note that Sarah Siqiniq Maupin is currently a resident of Fairbanks, not Utqiagvik as originally stated.